The Musical instruments segments includes various acoustic and electronic or electromechanical musical instruments. The worldwide revenue of US$6.4 billion in 2017 is expected to increase to US$6.5 billion by 2021. In this report, we analyze one segment of the constantly growing Hobby Products market. The Hobby Products market comprises diverse goods people buy for their leisure activities. This includes traditional toys and games for children and adults, video games consoles, various musical instruments and their accessories, equipment for indoor and outdoor sports activities, as well as equipment for fishing. The increase in disposable income as well as the growing awareness of a balanced work and private life, encourages consumers to spend more money on their hobbies. Key companies are Lego, Mattel, Amer Sports and Yamaha Corporation. The global Musical Instruments segment is heavily influenced by different cultural tastes in music. However, the overall segment is driven by technological innovations and an increase in online retail. Yamaha Corporation is the biggest player in the Musical Instruments segment, reaching a share of around 25% in 2017. 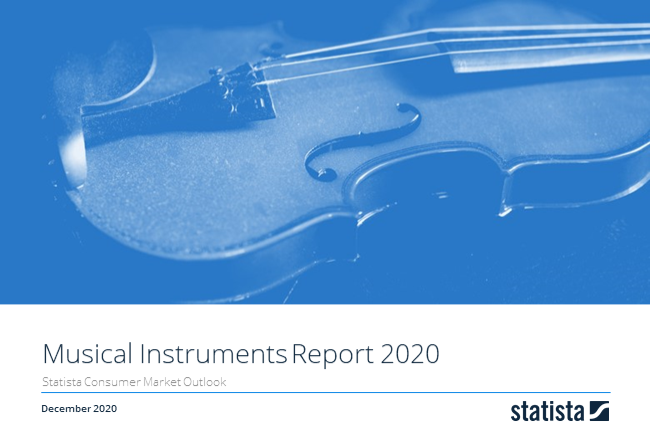 This report from the series of Consumer Market Outlook segment reports gives an overview of the Musical instruments market from an international perspective. You can find further information on the topic on Consumer Market Outlook/Musical instruments.